Fatherly Love: 7 Must Read Books that Place Love at the Center of Fatherhood. Fatherhood is a blessed experience that men walk into — whether not they have biological children. The traditional conceptualization of fatherhood defines the role of father only as a financial provider and disciplinarian of the household. This notion of fatherhood provides children with basic necessities of life and structure, but it lacks an emotional connection with our beloved children. Over the years, I listened to men who were raised by their fathers. Some these men reference the lack of emotional connect between themselves and their fathers. In my own family, I see the remnants of this connection between fathers and their children. This lack of love express through actions and words has the deleterious power of creating self-doubt in our children as they grow older. As fathers, we need to re-create a notion of fatherhood framed around love. We have to be active and present in our children lives. We have to show our children love by playing with and caring for them. We have to affirm their identity as kings and queens who have the ability to accomplish anything they put their minds to. Below are 7 books that serve as reminders of the small and big things I need to do love my children to their potential and purpose. These books serve as great tools that teach us that love should be at the center of everything we do as fathers. Lastly, these books serve as great conversation starters to express how much we love the children in our lives. 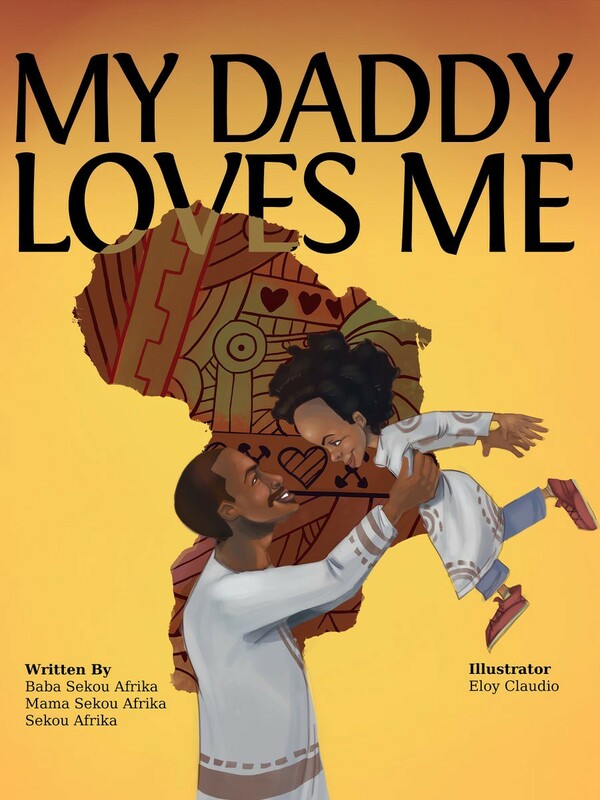 My Daddy Loves Me by Babba Sekou, Mamma Sekou, Sekou Afrika is a book that reminds fathers to #love and be loving towards their children. The illustrations and story line illuminates an important message- love should be the foundation of fatherhood . The book seeks to frame the narrative of what fatherhood should look like in contemporary times. This is a great gift for men with sons. 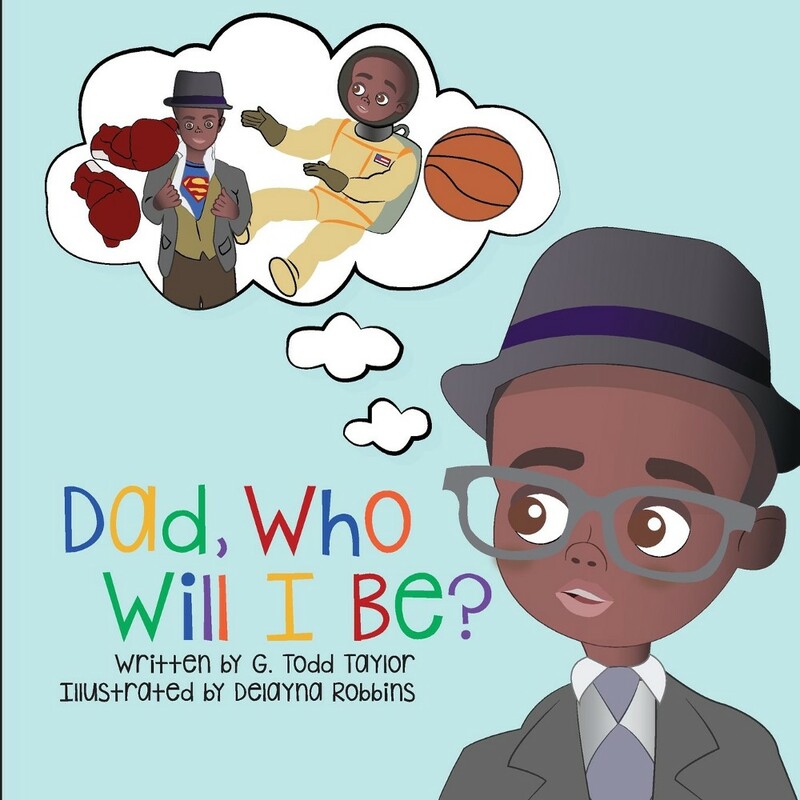 Dad Who Will I Be by Todd Taylor inspirational book for young Black boys. The book connects a boy’s dreams to Black heroes who dared to strive towards and achieve greatness. The book displays powerful images of an active father who uses affirmative words to guide his son in imagining possibilities for his life. This book is a reflective tool to aid Black boys in realizing their dreams are possible. 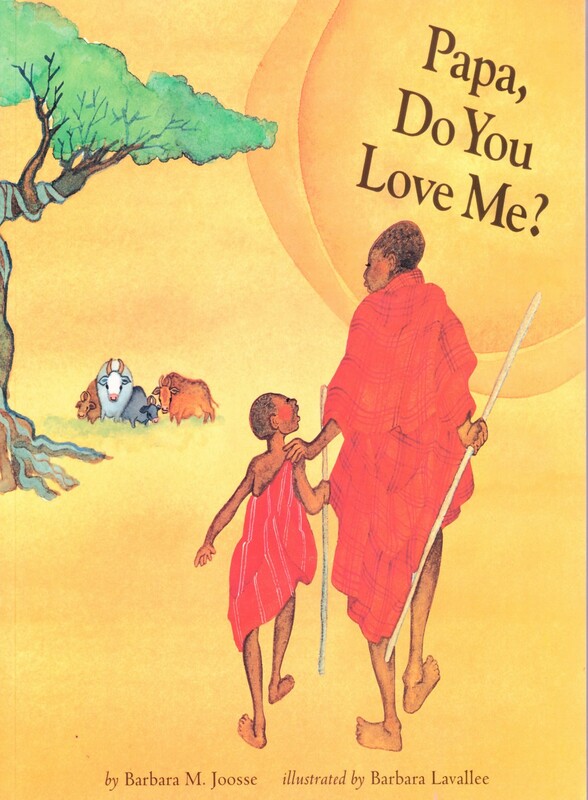 Papa, Do You Love Me is another great book about fathers loving their children. The beautiful illustrations capture life in rural Kenya. The father answers each of his son’s questions with thoughtful responses that illustrates unconditional love. This book serves as a teaching tool for fathers to show the importance of loving our children in words and deeds. 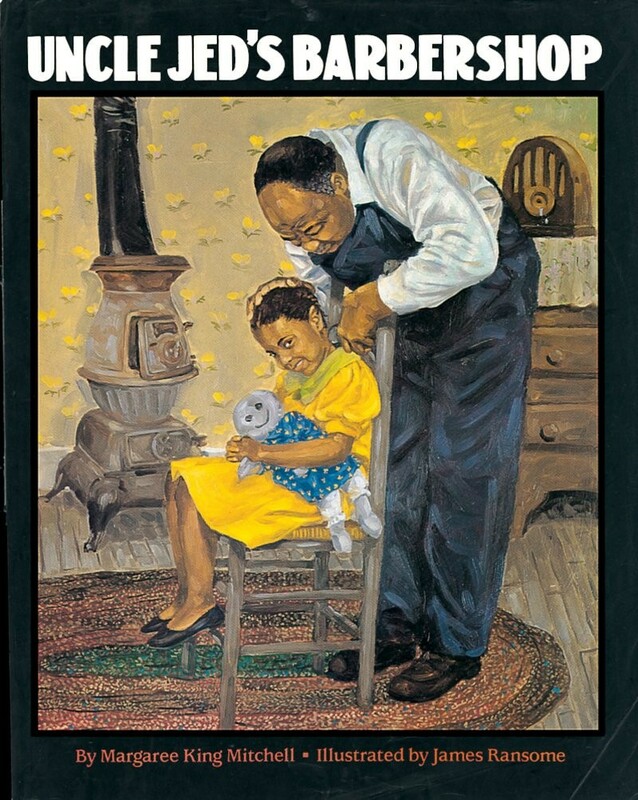 Uncle Jed’s Barbershop by Margaree King Mitchell is a book about familial sacrifice and dreams. Uncle Jed was a traveling barber who had a beloved niece. His dream was to one day open his own barbershop. Through his travels he earns enough money to open his dream barbershop, but his beloved niece falls ill. When he is faced with the decision whether to help pay for his niece’s medical bill or use the money to open his barbershop. He decides to pay for his niece’s medical bill and delay his dream. This book shows children that the road toward their dreams will have barriers, but with the powerful tool of resilience dreams can be carried out. 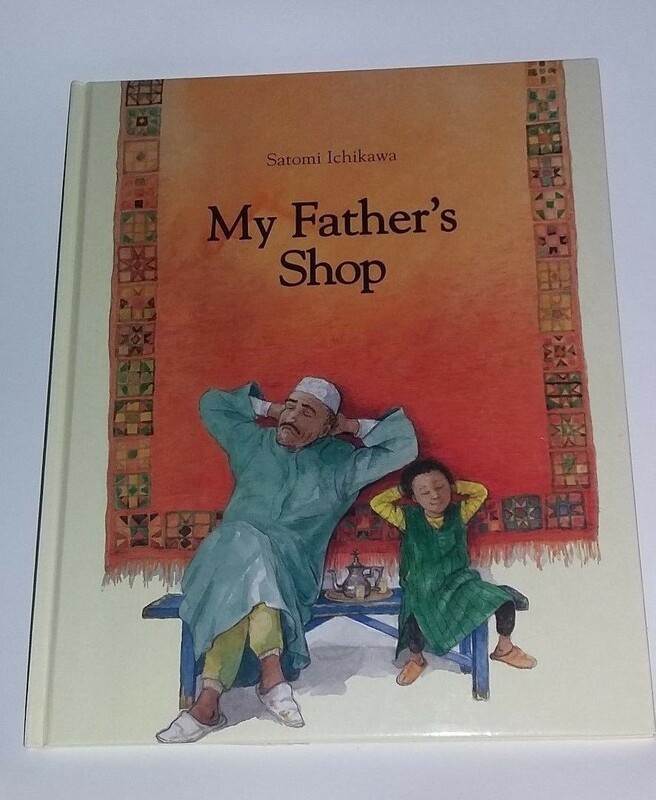 My Father’s Shop is a beautiful tale of a father and playful son. When the son finds a hole in one of the carpets in his dad’s shop. The father makes him promise that he will learn foreign languages in order to keep the carpet. As soon as the father turns his back, the boy runs out into the world. This is an engaging book that teaches the importance of play and interacting with people in the real world. This is a must read! 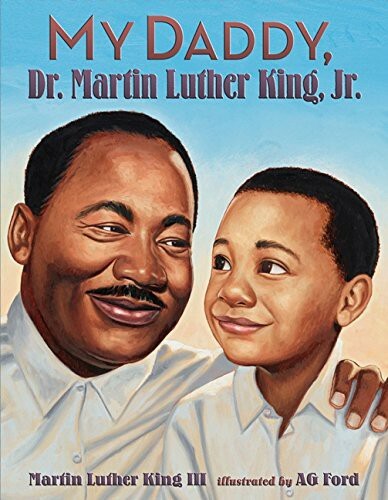 My Daddy Dr. Martin Luther King Jr. by Martin Luther King III is a biography about Dr. King from the perspective of his son. The author provides a holistic perspective of the Dr. King primarily as a loving father who was civil rights leader. The author does an amazing job at showing the emotional impact of his father’s protests, jailing, and victories had on him as a child. This book allows the reader to develop a great appreciation of the sacrifices his family made to ensure justice for oppressed people. 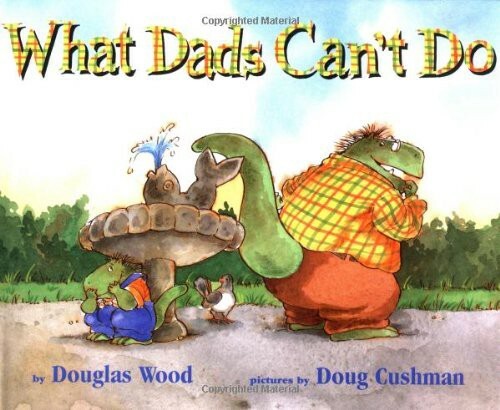 What Dad Can’t Do is a great book for father’s day. The author seeks to convey a beautiful message about the many ways fathers show love to their children. The books takes us through daily interactions that show love. The illustrations are both insightful and fun. This book is book is a great teaching tool to fathers how to love their children. Why Do You Teach? If You’re Not the Solution, You’re the Problem.